Byrd House Paleo sous chef David Jae lands a spectacular grouper fishing offshore in the Gulf of Mexico. There’s nothing as delicious as fresh grouper from the Gulf of Mexico! 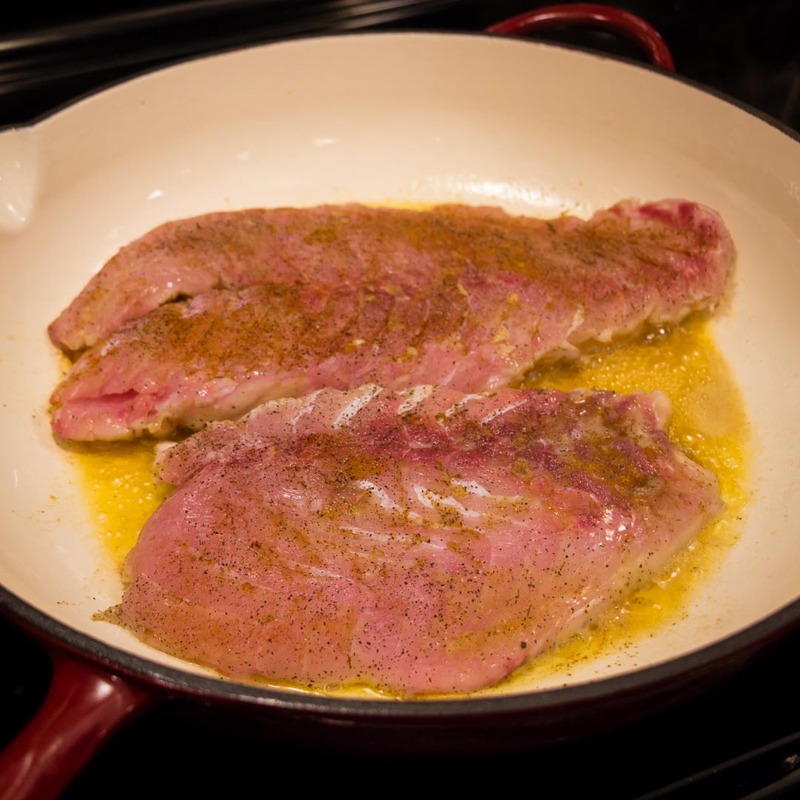 We sautéd our grouper in a mixture of cajun-style spices. Finished in the oven, our catch was remarkably flavorful and totally Paleo-Ketogenic. The sauté in cajun spices yielded a faux blackened grouper dinner in the style made famous by New Orleans chef Paul Prudhomme with his world renowned blackened Red Fish. This spicy low country fare will bring that ‘slap yo momma’ flavor to any fish, seafood or other meat. How to Cook Fresh Grouper? How to cook fresh grouper? Our catch was salted, dredged in melted butter and generously coated in a mix of cajun blackening spices before searing in a very hot skillet, then finished in the oven. Simple, easy and DELICIOUS! Begin with some fresh grouper filets like ours that were same-day fresh from the Gulf of Mexico. Next, cover the filets generously with Kosher salt and let them rest for a few minutes to bring moisture to the surface. 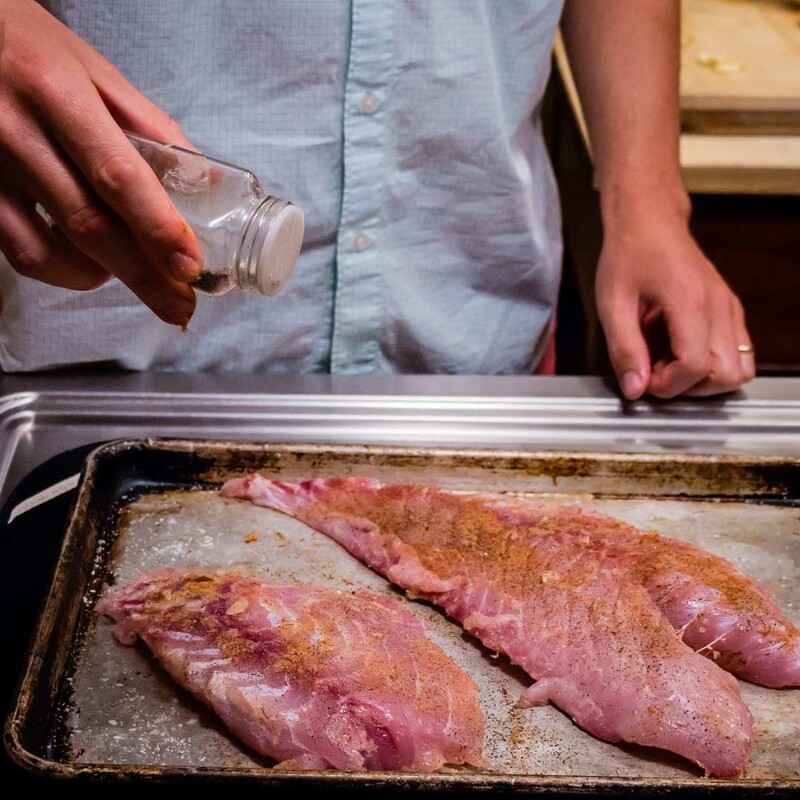 Brushboth sides of the grouper filets with melted butter, and then coat the filets generously with the dry spice rub or ample amounts of Paul Prudhomme’s Blackened Red Fish seasoning. Heat the extra virgin olive oil in an oven-safe skillet over medium high heat on the cooktop. When the oil shimmers, add a tablespoon of butter. When the butter foams, cut the heat back to medium and add the filets. Sear the filets both sides, about 3-5 minutes each side. Place the skillet uncovered on the bottom rack of the oven and roast until internal temerature of the filets reach 150 degrees, about 10 minutes. Remove the skillet from the oven, transfer the fish to the serving platter and drizzle with fresh lemon juice. Add lemon wedges for garnish. Serve with avocado green salad and a big skillet of Southern style corn bread. Yes, you will want to ‘slap yo momma’ after this fresh cajun style grouper dinner! Get advance notice of our posts and recipes.